As you are aware, I suffer with very dry skin most days. 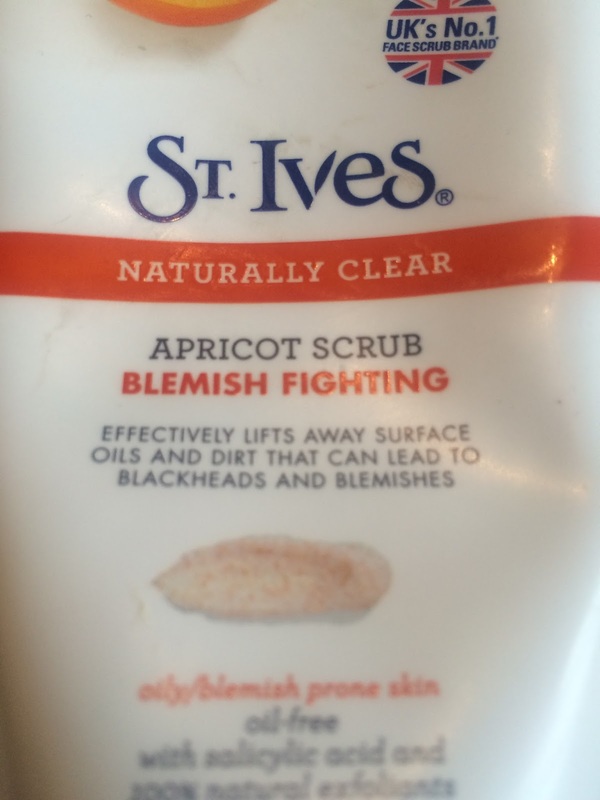 I often use facial scrubs to try to combat my dry skin. 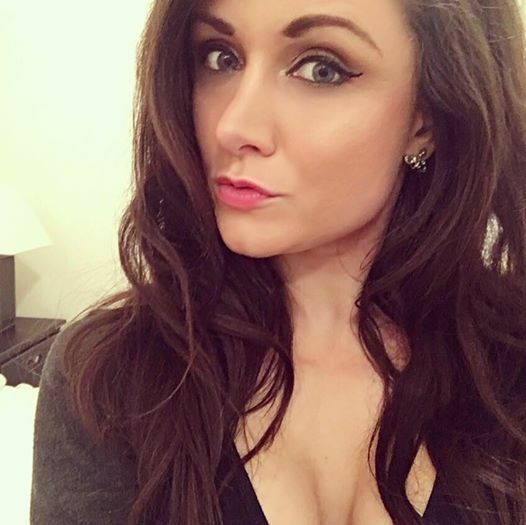 In general you are meant to use facial scrubs 1-3 times a week, unfortunately this isn't enough for me and I usually use scrubs around 4-5 times a week, dependent upon the condition of my skin at the time. 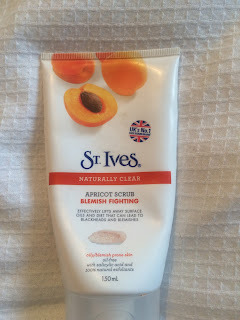 My favourite facial scrub is St Ives apricot blemish control scrub. 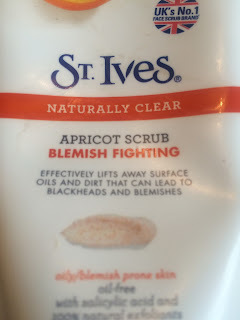 I have read many reviews on this product in the past by people staying they believe the scrub is too harsh on their skin. 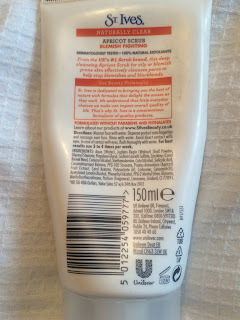 However I think this is the only facial scrub that actually seems to help improve my skin and make my skin more radiant. St Ives are the top selling facial scrub brand in England and at only £3.99 the scrubs are a bargain! Click here to buy. 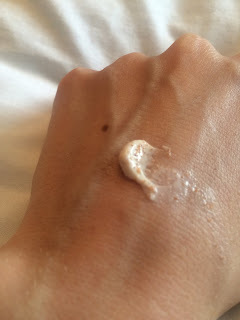 The scrub contains 100% natural exfoliants, is oil free and is dermatology tested. The formula itself is thick with little grains of exfoliating beads. It has a slight apricot scent to it. After cleansing, I splash my face with warm water and then apply the scrub to my face in circular movements and rinse the scrub off with warm water, before finishing off my splashing my face with cold water and patting my face dry with a towel. I would highly recommend this scrub to everyone, it not only makes my skin more radiant but it also helps keep my dry skin at bay! This is one product I wouldn't be able to live without.